KingsIsle™ Entertainment is celebrating four fun-filled years of swashbuckling adventure and flying skyships by giving away free gifts and providing in-game events as Pirate101™ reaches its fourth anniversary. During this special event, which also coincides with the Halloween season, redeem the code “spooky4thbday” to receive the following gifts in game: a special seasonally colored seven-day rental mount, a tribal crew CCG pack, a “Parrrty” Hat, a birthday eyepatch, two birthday-themed pet snacks, and a trick or treat banner. Players will notice that Avery’s Court and Skull Island have been transformed with banners, balloons, and present boxes for them to enjoy. Everyone is welcome to join in the fun, even if you’ve never played before. 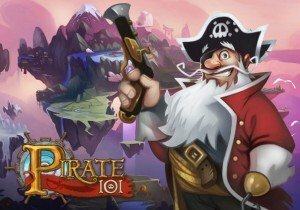 Set your course to Pirate101.com, log in, redeem your free gifts, and begin your journey today. Wartile is part mini-fig game, part 3-D board game!